For more than 15 years the BMÖ accompanied leaders in purchasing, materials management and logistics as well as supply chain management in their work and business responsibility. National and international networks, benchmarks, training and improvement of the status of the purchasing function and its achievers within the companies are BMÖ’s matters. A continous increase in efficiency in all areas is essential for secure competitiveness of your company. Dankl+Partner supports you by recognizing your business’ strenghts and improvement oportiunities of your maintenance and using them positively in your whole company. Semaku offers products and professional services for integrated information management. Encompassing knowledge graphs, product information management, content management and product lifecycle management, we help our clients to discover and comprehend the bigger picture with a unified standards-based approach. Phoron – Consulting is a medium-sized SAP Consulting company with successful SAP projects in more than 40 countries. 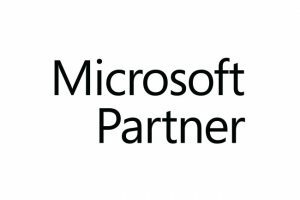 Microsoft is the worldwide leader in software, services and solutions. The product range extends from the operating system for PCs, mobile devices and networks via server software, productivity software for enterprises and private users, multimedia applications and online services, to developer tools. Oracle provides business software and hardware systems to more than 370,000 customers—including 100 of the Fortune 100—that represent a variety of sizes and industries in more than 145 countries around the globe. IBM is one of the world’s leading company for hardware, software and services in the IT area, and one of the largest consulting Corporation. Semaino realizes solutions meeting demand for eletronic product management as full service provider. With the platform-independent adjustment Semaino accompanies the enterprises from the first analysis over the conception up to the configuration and expenditure of electronic product catalogs.